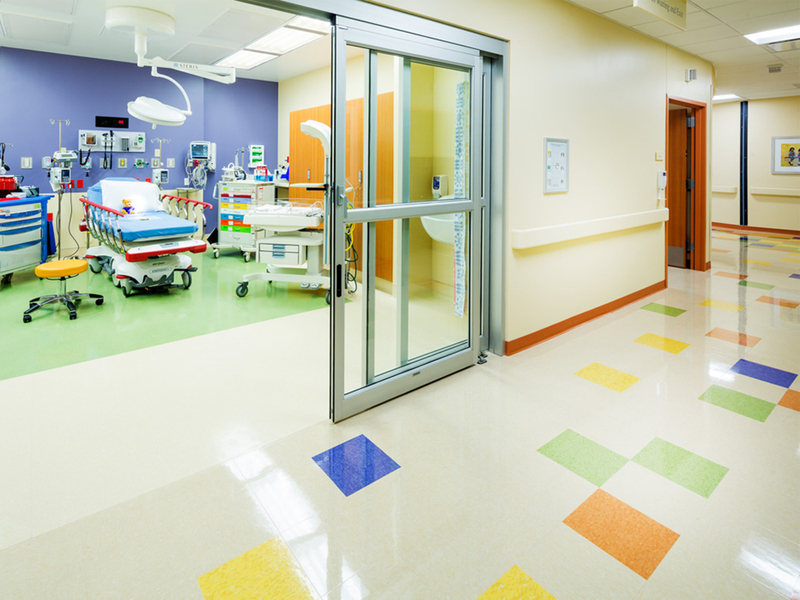 The Sky Ridge Pediatric Emergency Department and Imaging Suite features 11 observation and exam rooms, including trauma / resuscitation and secure hold rooms. The center also serves imaging needs with MRI, CT, X-ray and ultrasound equipment. Although technically a free standing Emergency Department, the space has several services and functionalities provided from the main hospital. The Owner needed the ability to control and monitor their ED and Imaging Suite via multimodal fiber optic backbone, fire alarm reporting, access control, building automation, bulk medical gas and hydronic reheat VAV’s.